We're a go-to Microsoft partner fast and seemless Office 365 deployment and are the most experienced firm for enterprise deployments of ProPlus in Australia. Keeping your Office apps up to date on multiple devices has been a thorn in the side of IT teams for as long as we can remember. Historically, your users' experiences vary between devices, there's always an update you haven't planned for and you're constantly fighting infrastructure issues. With support for older versions of Office set to be withdrawn over the next few years, you know you need to get your Office 365 deployment including ProPlus under control but how equipped are you to do so? With Office 365 deployment including ProPlus, your staff are provided with perpetually updated clients across multiple devices including mobiles and tablets with cloud-connected infrastructure underpinning that experience. Office 365 ProPlus enables incremental updates and a monthly subscription model ensures that once a business has migrated to the new platform, each new upgrade will be integrated automatically. Our Office 365 deployment and remediation services ensure we move you to Office 365 ProPlus in collaboration with your in-house team - who will be up-skilled to carry on managing the infrastructure once the project is complete. 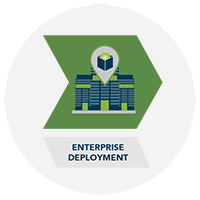 We follow a pre-defined process to help you deploy to enterprise-wide scale. Our app compatibility remediation takes place over the deployment timeline including remote support specliasts for end-user requests. The process of deployment typically starts with a workshop, where we'll look at an enterprise's infrastructure and the issues they face. From there, our team will come up with a tailored plan of how best to make the shift to Office 365 ProPlus. Next we'll go through a pilot deployment of Office 365 - a critical stage in identifying issues. Any teething issues are discovered during remediation and resolved before moving to enterprise-wide deployment. Finally, there's a clean-up stage, which is also where any additional support can be organised - such as training or ongoing maintenance tools. 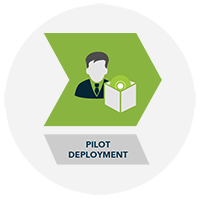 Despite your previous Office deployment experience, ProPlus deployment with Fastrack ensures your project goes fast and is painless. Deploy Office 365 faster, better, today. Its challenging to integrate Office 365 ProPlus into an existing business framework. Especially when you have hundreds or thousands of users and devices to account for, on-premises infrastructure, and issues of compatibility of plugins & macros developed for older versions of Office. The process can be incredibly complex, taking many months to complete. The shift to cloud computing continues and the journey towards Office 365 in the cloud is an inevitable step for many Australian enterprises. Luckily, we're known as the go-to Microsoft partner for making faster, simpler Office 365 ProPlus deployments possible. We've worked extensively with Microsoft over the last decade, and are the most experienced enterprise Office 365 ProPlus deployment firm in Australia. Want to fastrack to Office 365 ProPlus?